I am here to serve you in all of your Greater Savannah area real estate needs including new construction. 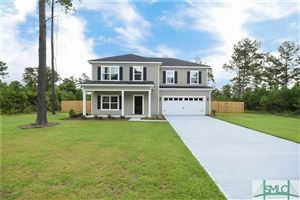 In addition to my experience as a Realtor with Keller Williams Coastal Area Partners, I have over seventeen years of local Paralegal experience and three years of real property appraiser experience. All done right here in your community. Let me put my combined experience to work for you. I can guide you through the purchasing or selling experience from start to finish including listing your home for sale, purchasing your new home or rental property, property appraisals, negotiations and document handling (agreements, disclosures, addendums, etc). I am happy to say that over the past years, most have been long time clients who have repeatedly called me over the years no matter what the task. 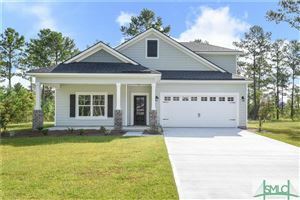 Please contact me for all of your Greater Savannah Real Estate needs, including Richmond Hill, Pooler, Savannah, Bloomingdale, Effingham, Fort Stewart, Hunter Army Airfield, Pembroke, Ellabell, Rincon, Springfield, Guyton, Midway, Hinesville, Effingham County, Bryan County, Liberty County and Chatham County. Neighborhoods we service include: Buckhead in Richmond Hill, Ga, Richmond Place, Main Street, Strathy Hall, Mill Hill, Oxford, Kinsale, Buckhead North, Buckhead South, Buckhead East, Tranquilla Hall, Brigham Lakes, Laurel Grove, The Sanctuary, Sayles Landings, Sweethill, Saddlebrook, Fancy Hall, Demeries Lakes, Godley Station, Georgetown, Ardsley Park, Windsor Forest, Wilmington Island, Lake Gale, Sunshine Lake, Colonel's Island, Sunbury and many, many more! I'm never too busy for your referrals! I promise to do my very best to guide you through what some clients describe as a very stressful process and the biggest purchase of their life. Let me take the stress out of your next home buying or selling experience. My commitment is to make you a client for Life! I believe in improving customer service experience with every real estate transaction! I believe in wealth building through real estate! I believe in building a better quality of life through home ownership!